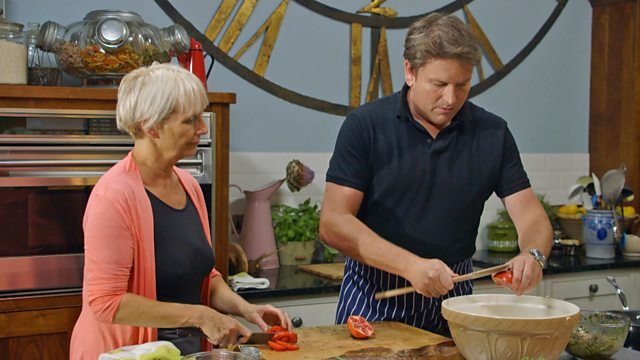 James Martin shares his favourite lunchtime recipes. Say goodbye to soggy sandwiches and unsatisfying salads - with recipes like pork and pomegranate tabbouleh and a fruity tray bake, James tries to make us fall in love with lunch again. He is joined by special guest Lesley Waters.